Diversity in education systems, and broader political and economic conditions, are commonly credited with international variation in inequality of educational opportunity (IEO). Comparing East and West Germany before reunification allows us to investigate whether vastly different political, economic and educational systems led to differences in IEO. Post-reunification, East Germany adopted the West’s systems and experienced an economic recession. IEO had been smaller in East than in West Germany but was on an upward trajectory before reunification. After 1990, IEO in East Germany converged to the West German level as a result of decreased IEO in the West and increasing levels in the East. Post-reunification convergence suggests differences in political context and education policy are crucial for IEO. 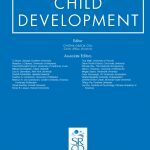 This study investigates the relationship between early maternal employment history and children’s vocabulary and inductive reasoning ability at age 5, drawing on longitudinal information on 2,200 children from the Growing Up in Scotland data. Prior research rarely addresses dynamics in maternal employment and the methodological ramifications of time-variant confounding. The present study proposes various measures to capture duration, timing, and stability of early maternal employment and uses inverse probability of treatment weighting to control for time-variant confounders that may partially mediate the effect of maternal employment on cognitive scores. The findings suggest only modest differences in the above ability measures between children with similar observed covariate history but who have been exposed to very different patterns of early maternal employment. Over the course of higher education expansion and growing numbers of graduates, employers are supposed to have increasing difficulties to regard a higher education degree as reliable signal for productivity. As a consequence, they may take into account ‘qualitative’ differences such as graduates’ field of study more often than in previous times when hiring labour market entrants. Both from a supply- and demand-side perspective graduates from humanities, social services or arts may be increasingly disadvantaged in terms of labour market outcomes compared to graduates from science, technology, engineering and mathematics over time. The article tests this argumentation by assessing changes in the relationship between graduates’ field of study and risk of unemployment as well as access to the service class in West Germany between 1980 and 2008. 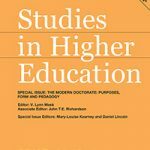 Changes in returns to field of study may contribute to growing (social) inequalities among graduates amidst educational expansion and are therefore important to consider. Based on Microcensus data, the results show that field of study differences in terms of both labour market outcomes did not increasingly diverge over time. The paper concludes that due to a limited educational expansion and the prevalence of an occupationally segmented labour market higher education remains a good investment in terms of labour market returns in West Germany irrespective of graduates’ field of study. This article considers changes in the association between educational attainment and occupational prestige in Germany over time. We argue that the link between attainment and occupational prestige has become weaker over time because of compositional changes in graduate occupational destinations. Prior to higher education expansion, the small elite group of graduates tended to access the occupationally closed and thus more prestigious professions on graduation. As higher education participation expanded, however, an increasing proportion of graduates found employment in less prestigious and more diverse graduate jobs. The results confirm our theoretical expectations. The association between educational attainment and occupational prestige has decreased over time as graduates entered a broader range of jobs and their relative advantage over those with lower levels of qualifications decreased. This can, in fact, be attributed to a merely compositional change among graduates’ occupational destinations from prestigious professions towards less prestigious free-market graduate occupations. 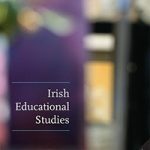 This paper examines the relative importance of upper secondary subject choice and attainment in explaining social inequalities in access to higher education (HE) in Scotland and Ireland. These two countries differ in the extent of curriculum differentiation, in the degree of standardisation in school examination and in HE entry criteria. In particular, in Scotland subject choice in upper secondary education is more differentiated (both in terms of number and type of subjects taken) and allocation of places in HE is less standardised and more dependent upon the subjects studied at school than in Ireland. Given these institutional differences, we expected subject choices to be more important for explaining social origin differences in HE entry and access to prestigious institutions in Scotland than in Ireland. Because of increasing student competition for HE places, we further hypothesised the growing importance of school subjects over time in mediating social inequalities in HE entry in both countries, more so in Scotland than in Ireland. Our results confirm that subject choice is a stronger mediator of social inequalities in HE entry and access to prestigious universities in Scotland while attainment is more important in Ireland. Contrary to our expectations, the role of subject choice in HE entry has not become more important over time. However, in Scotland subject choice continues to be a strong mediator for social inequalities in HE entry. This paper addresses trends in education-specific unemployment risks at labor market entry in West Germany from the mid-1970s to the present. In line with previous research it shows that vocationally qualified school-leavers have relatively lower unemployment risks than school-leavers with general education. Over time, the gap in unemployment risks between the low-educated and medium- and highly educated labor market entrants substantially widened for both sexes. The literature identifies two different mechanisms for this trend: structural or cyclical crowding out. While in the former scenario low-educated become increasingly unemployed due to an oversupply of tertiary graduates and displacement from above, in the latter their relative unemployment risk varies with the business cycle. The results provide evidence for cyclical rather than structural crowding-out in West Germany. Since macroeconomic conditions became generally worse over time, this strongly explains the widening unemployment gap between the low-educated and all other education groups. 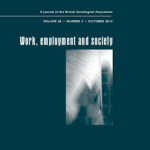 This article examines the impact of social origin on tertiary graduates’ labour market outcomes in Germany and the United Kingdom, two distinct countries in terms of higher education systems, labour market structures, and their linkages. Data from the 2005 REFLEX survey, OLS regression and linear probability models are used to analyse the effect of parental education on graduates’ occupational destinations at two time points: at labour market entry and five years after graduation. We test various hypotheses on country variation (i) in the strength of association between origin and occupational destinations, (ii) in the mechanisms by which social origin affects occupational destinations (i.e. via qualitative education differences), and (iii) in the extent to which social origin matters at different career stages. The results show that parental education effects are similar in the two countries when occupational destinations are analysed using the International Socio-Economic Index of Occupational Status (ISEI). They substantially differ when the analyses focus on entry into the higher-service class. In this latter case, both the gross and the net effects of parental education are stronger in the United Kingdom than in Germany. However, country differences in parental education effects reduce when graduates’ occupational outcomes are analysed 5 years after graduation. Graduates from higher education often enter the labour market with a considerable amount of work experience. Using German data, we address the question of whether early work experience pays off upon labour market entry. We compare the labour market benefits of different types of work experience. This comparison allows us to more generally test hypotheses about different explanations of why education pays off. Results indicate that tertiary graduates do not profit from work experience that is unrelated to the field of study or was a mandatory part of the study programme. Even though field-related and voluntary work experience helps graduates to realize a fast integration into the labour market, it is not linked to higher chances for entering a favourable class position or to higher wages in the long run. These results provide evidence for the signalling explanation of educational benefits in the labour market rather than the human capital explanation. Mandatory internships are implemented in higher education curricula in order to ease the labour market integration of graduates. This article evaluates the utility of mandatory internships in Germany by assessing the effect on graduates’ transition from higher education to work. The authors examine whether these compulsory programmes provide extra benefits for graduates from families with lower educational backgrounds. Three different outcome variables are used to characterize the labour market entry: search duration until the first significant job, employment history complexity and wages five years after graduation. The results clearly indicate that compulsory internship programmes neither have a positive effect on labour market outcomes in general, nor are they particularly beneficial for graduates from lower educational backgrounds. Position von Hochschulabsolventen aus unterschiedlichen Herkunftsfamilien unterscheiden. direkter Einfluss der sozialen Herkunft auf die berufliche Stellung erkennbar. In diesem Artikel untersuchen wir den Einfluss sozialer Netzwerke bei der Jobfindung auf berufliche Erträge von Hochschulabsolventen beim Berufseinstieg in Deutschland. Im Gegensatz zu früheren Studien erweitern wir die Analyse, indem wir zwischen verschiedenen Typen von zur Jobfindung verfügbaren Netzwerken unterscheiden. In Übereinstimmung mit der Literatur, die sich auf den Einfluss von Beziehungskapital per se konzentriert, finden wir in unseren Analysen keine Effekte auf monetäre Erträge. 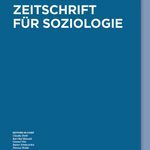 Entgegen der Studie von Franzen & Hangartner (2005, 2006) ergeben sich jedoch in unseren Ergebnissen auch keine positiven Effekte auf die Adäquatheit der Stelle. Jobfindung über soziale Netzwerke erhöht sogar das Risiko einer Überqualifikation. Differenzieren wir soziales Kapital dagegen nach mehreren Arten von Netzwerktypen, z. B. danach ob Kontaktstrukturen durch berufliche Tätigkeiten während des Studiums, vermittelt über Eltern oder durch Freundschaften entstehen, ergibt sich ein vollkommen anderes Bild: Der Einfluss sozialer Netzwerke auf Eigenschaften der Arbeitsstelle unterscheidet sich in erheblichem Maße je nach der Art des Netzwerks und der Art des untersuchten Ertrags. Daraus schließen wir, dass ein homogener Effekt von Sozialkapital auf Arbeitsmarkterträge, insbesondere bei Hochschulabsolventen, nicht ersichtlich ist und folglich Studien aufschlussreicher sind, die sich auf die Wirkung bestimmter Netzwerkarten bzw. -ressourcen fokussieren. 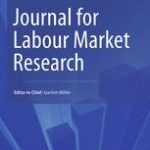 This article addresses the question of why fields of study differ in early labour market returns. It is argued that the higher the potential training costs of a field of study the more problematic the labour market integration of graduates. This is due to the fact that employers use the occupational specificity and selectivity of a study programme as a signal for the expected training costs. In addition, the article suggests that structural relations between fields and occupations act as mediators for the effect of field of study on non-pecuniary returns. Using the German HIS Graduate Panel 1997, the results indicate that a lack of occupational specificity is partly responsible for differences between fields of study. Selectivity measures do not contribute to an explanation. As expected, working in the public sector and the required expertise for a job strongly mediate field of study differences. In this paper we examine the impact of the interviewer’s gender on respondents’ self-reported share of housework in telephone interviews. Due to a discrepancy between modern, egalitarian gender roles dominating public discussion and men’s marginal participation in housework we expect male respondents to answer in a socially desirable way and exaggerate their share of housework vis à vis female interviewers. At the same time, we assume that female respondents underreport their contribution to the couple’s housework to female interviewers. The effects of the interviewer’s gender should be less strong in case of female respondents than in case of male respondents, though. Additionally, theory suggests that young and educated respondents are particularly susceptible to effects of the interviewer’s gender as they are most aware of egalitarian gender roles due to their socialization and environment. For male respondents the results are largely consistent with the expectations. However, the effect of the interviewer’s gender varies stronger by age than by education. Regarding female respondents the results do not indicate any significant effects across age groups and educational degrees. Overall, the results show that social desirability may also bias self-reports of everyday behaviour. 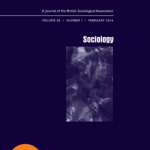 Moreover, interviewer effects vary considerably between different social groups.